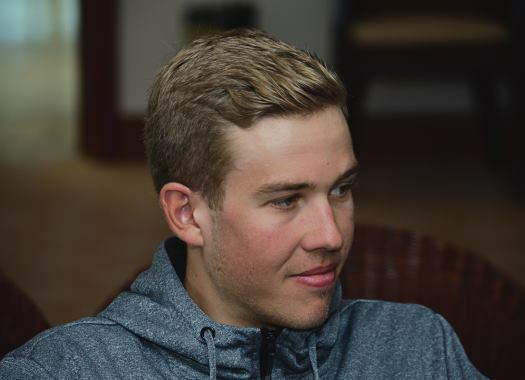 Jonas Gregaard is a young Danish talent that joined Astana Pro Team in 2018 as a stagiaire. Because of his work, he got a contract until at least the end of 2020, and he is determined to develop in the team as much as possible. CyclingPub.com had the chance of having a chat with the young talent during his first training camp with the team in Spain, where he had the opportunity of rejoining some of the riders he already knew from his time as a trainee. How's the training camp going? I'm feeling good. It's nice to be at the training camp and to see all the people here on the team. The training has been good and I'm happy to be here. I already knew some of the people because I've already done some races with them. But they are nice to me. How many races have you already done with the team? I did the Vuelta a Burgos and some one-day races. I do stage races. I like also some hilly races. 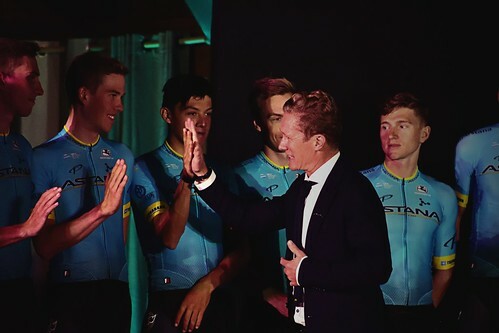 Why did you choose Astana? I think this is a good team for me and they showed their interest a long time ago. I've had a good run with the team as a stagiaire and I'm happy to be here. And also because I have some Danish teammates so I think that this is the best option for me. There are three Danish riders in the team this year, how's your relationship with Jakob Fuglsang and Magnus Cort Nielsen? It is good. Magnus is living in the same city as I do in Spain, so we can do the same training together and here I stay in the same room with Jakob. They are really nice guys and I'm super happy to have them here. They are both very professional riders and of course, I can learn a lot from them. Do you think they take a role of mentors for you in the team? Yeah, I would say so and also there are some other guys. But it is also easy when you are from the same country and you can also have better communication. Do you have any expectations for your first year on the WorldTour? I don't think about winning races, but of course, if the chance comes I will take it. But I'm also thinking about my development, that is important. This is my first year so I don't want to stress and do things that are not good for me. So I want to take it easy and if I do small races and if I see the opportunities I will take my chances. I think the most important is to take it easy and just learn from everybody. Have you already seen any differences between the continental team that you were at before and the WorldTour level? For sure, this is a much bigger team. The whole set up is bigger than what I was used to. Here you have five times more staff around you. What do you think of the Argon 18 bikes you are going to ride now? They are very good. I also rode Argon 18 some years ago. I actually became Danish champion under 23 in the road race on an Argon so maybe it is a good thing to go back to them (smiles).